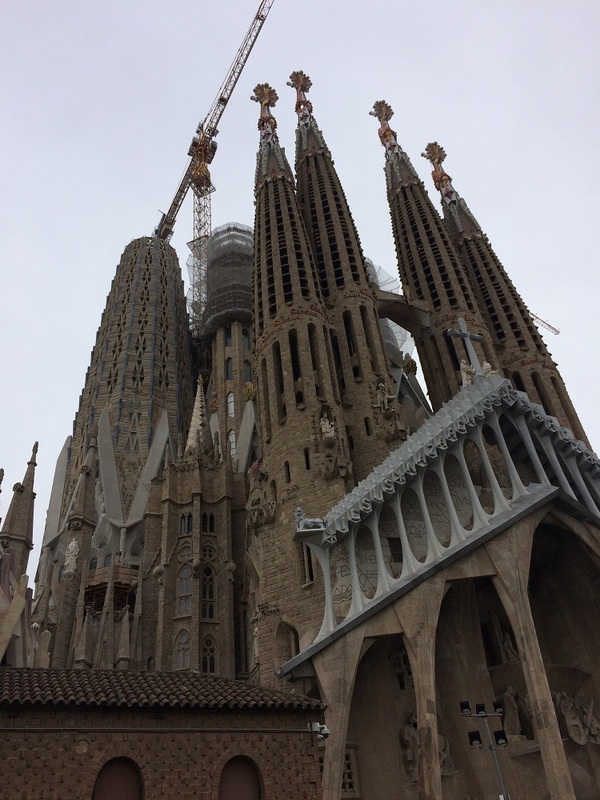 Barcelona is our destination for winter holiday in 2018. We went there for three nights in December. 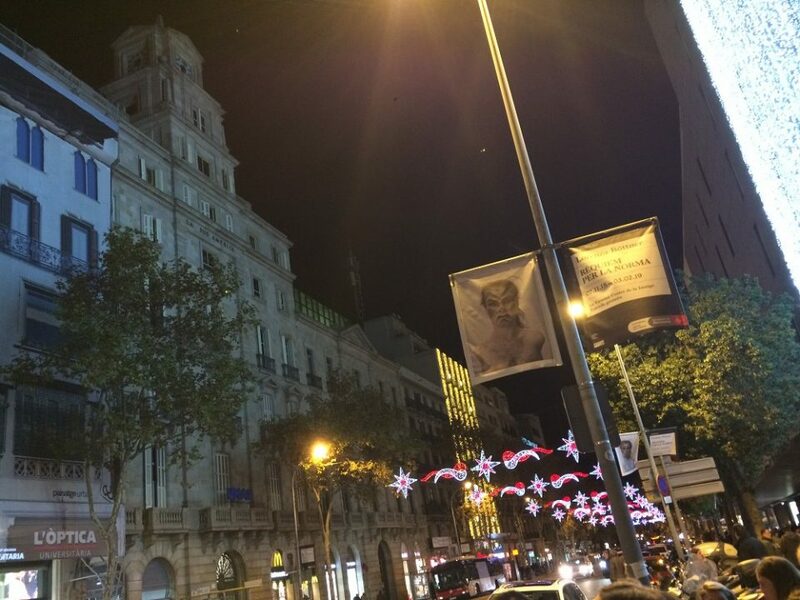 It is quite pleasant to go to Barcelona in winter. The weather is cold, but it is not freezing. 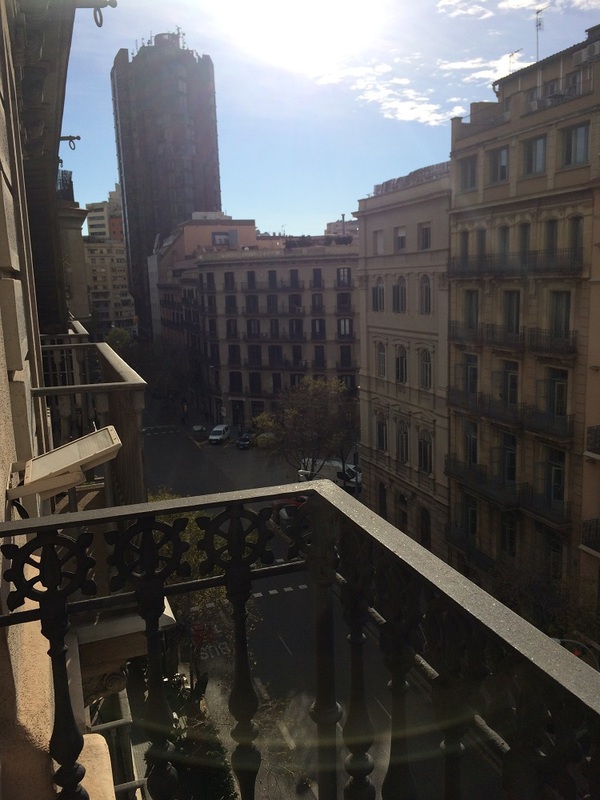 We stayed at Hotel Roger de Lluria in the central Barcelona. 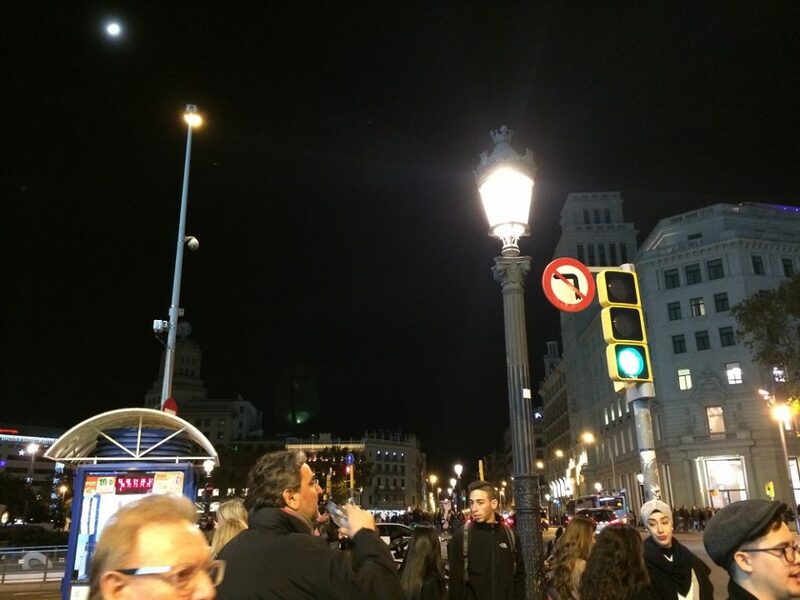 The nearest metro to Hotel Roger de Lluria is Urquinaona. We like the hotel so much. 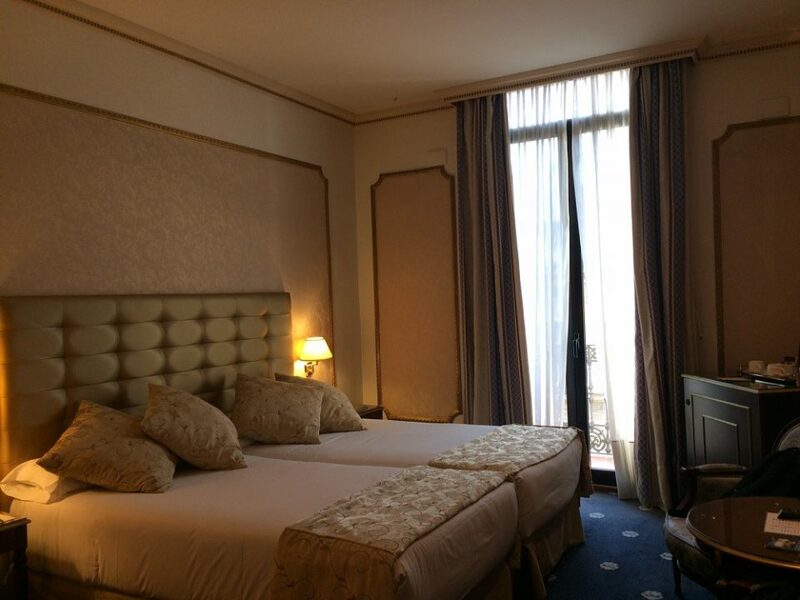 The room is big and spacious. 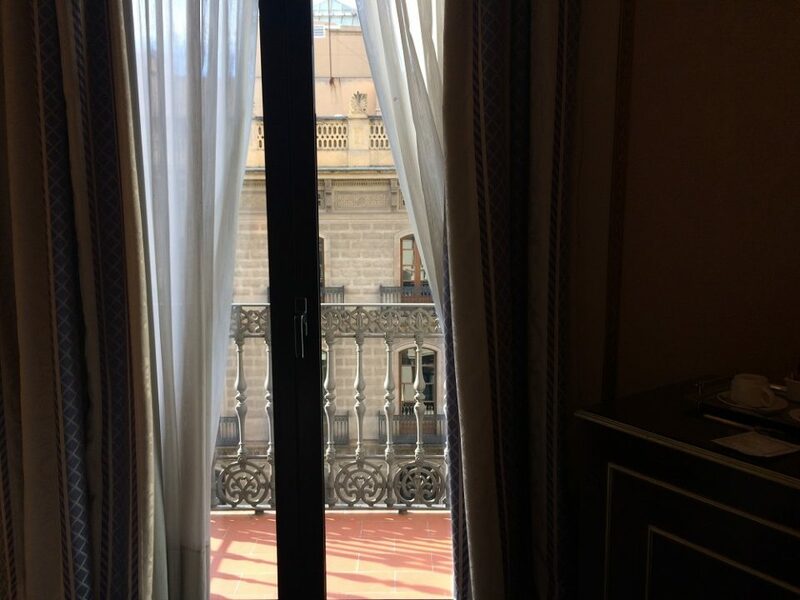 There is a minibar and also a balcony. 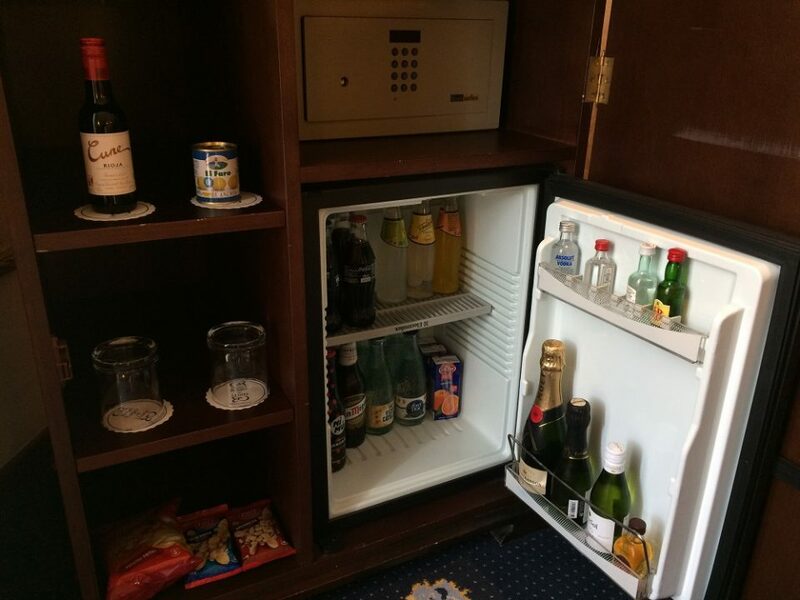 Look at this lovely minibar below! 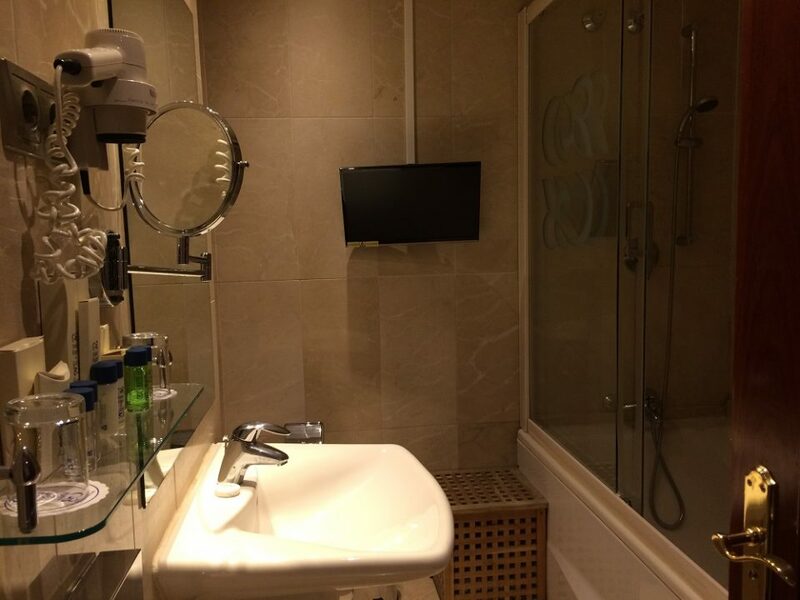 And the bathroom is spacious too!. 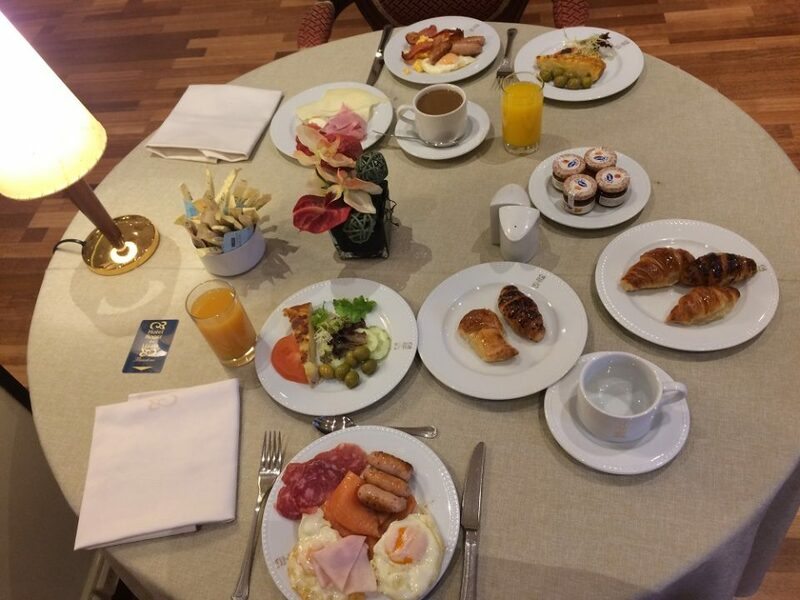 We also love the big breakfast, even though it is quite expensive (I think around 18 Euro per person). 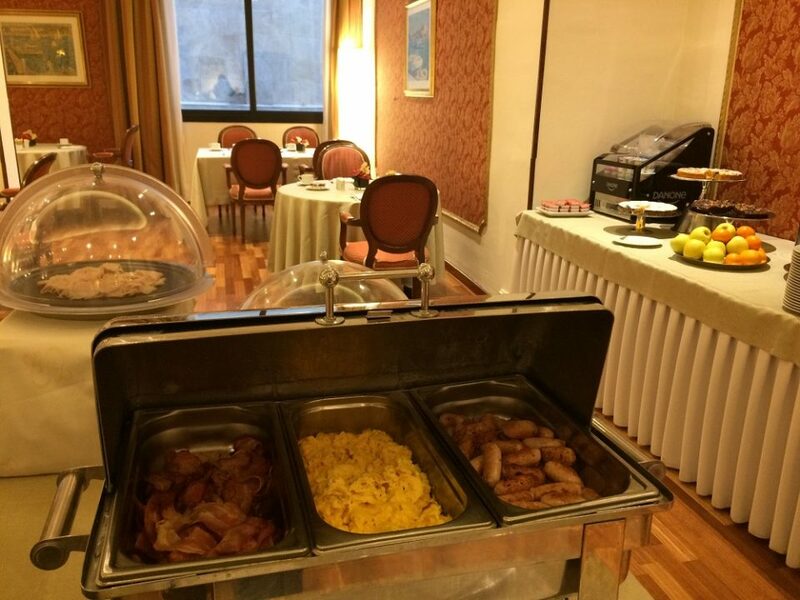 There are nice selection of cold food and hot foot. With desserts and pastries too. 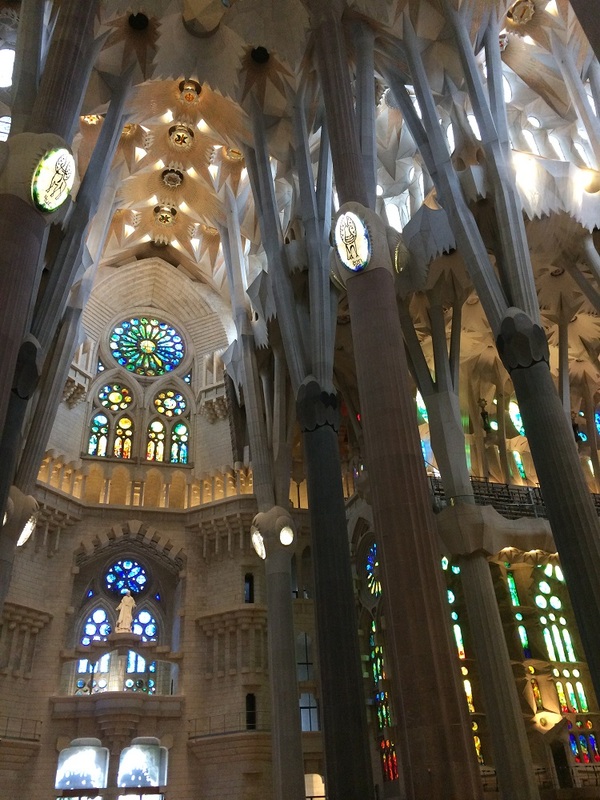 This is a must activity in Barcelona. 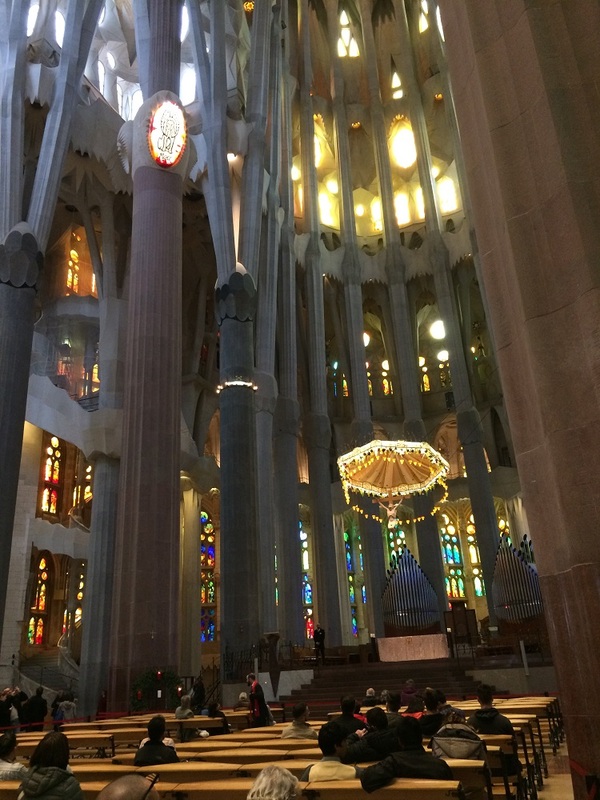 The Sagrada Familia, once refurbished, could be the largest Catholic church (probably in the world?). We buy an online ticket to enter, which is cheaper than the door ticket. I simply go to their website and pay online for it. 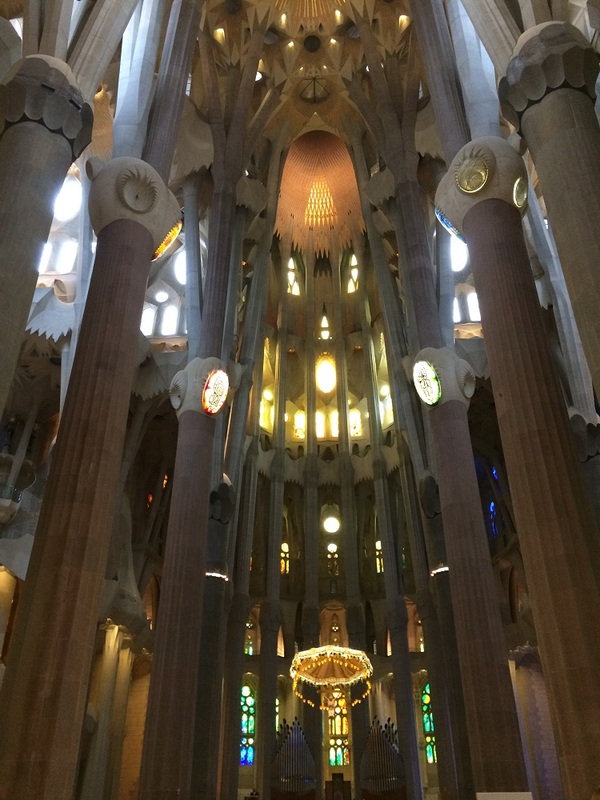 I love the outside architecture of Sagrada Familia. However the inside is surprised me. I think it is quite modern. I notice that it has also the old part of the Church in the basement, but the main part, I guess is designed in a quite modern way. It has the feeling of nice, clean, seek inside, which is not probably my taste, because I love OLD STYLE church very much. The older the style the better! So what do you think of it? Do you like how it is designed inside? 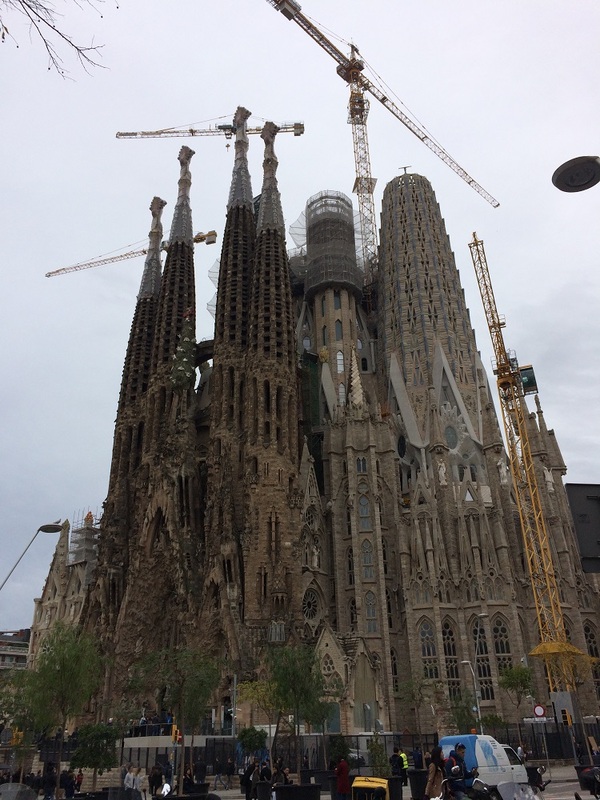 I prefer the outside look of Sagrada Familia. 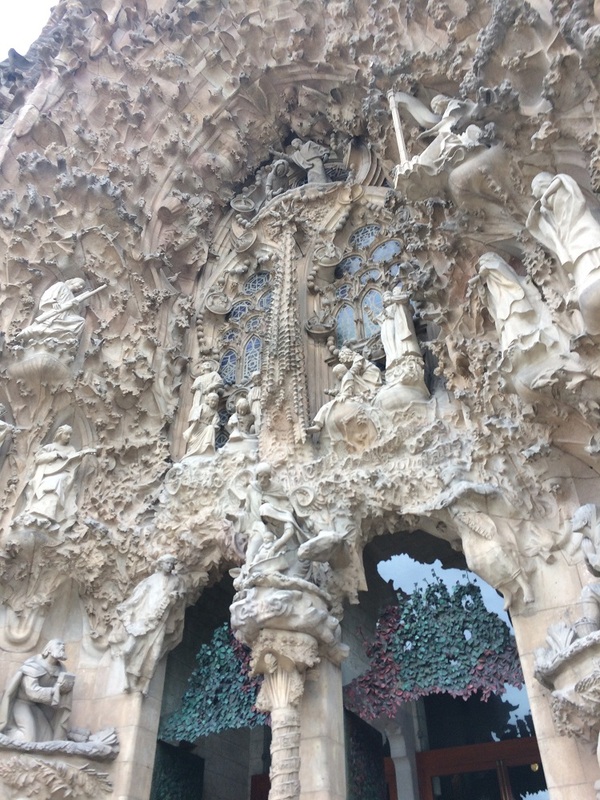 It has the quirkiness style of Gaudi. 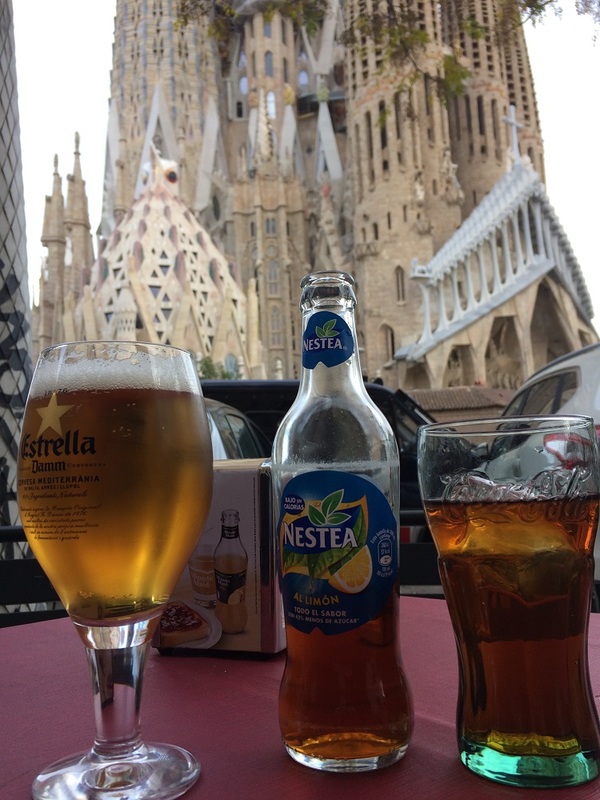 You can sit to a nearby Cafe (across the Church) and enjoy a drink with a fabulous view. 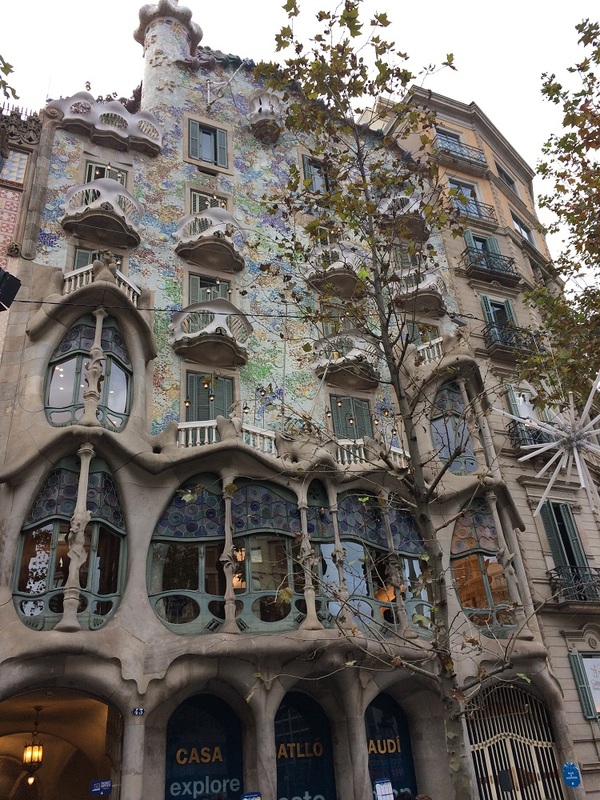 If you have time, you can also visit Casa Battlo, a building designed also by Gaudi. 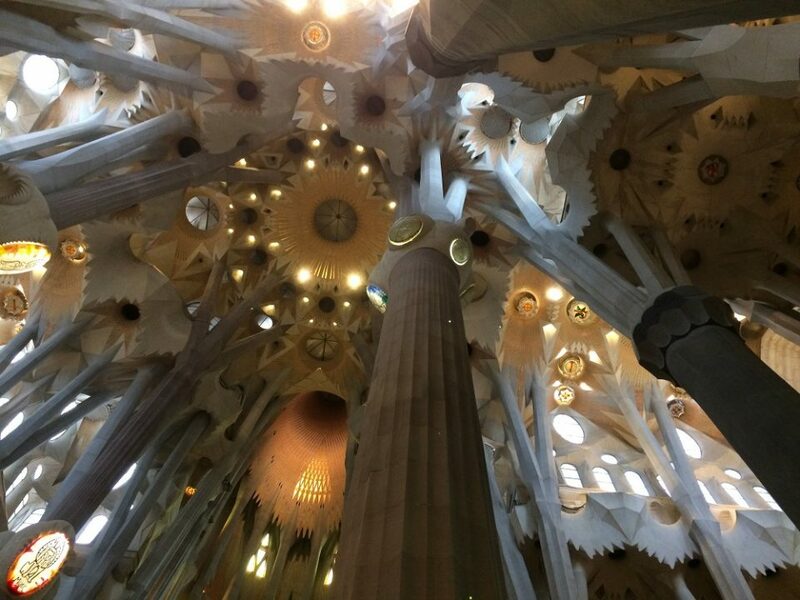 As for us, we don’t really come inside, but the architecture from outside looks weirdly stunning. 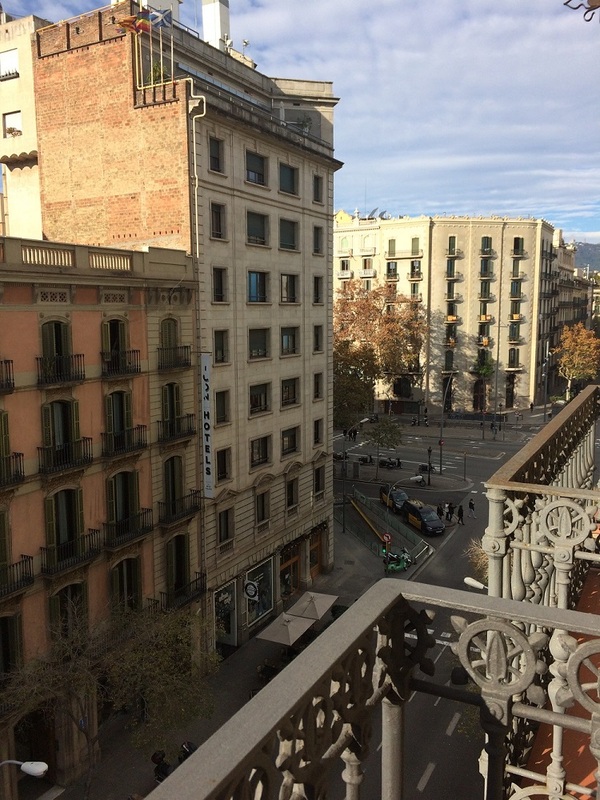 Barcelona is quite famous for its Gothic quarter. 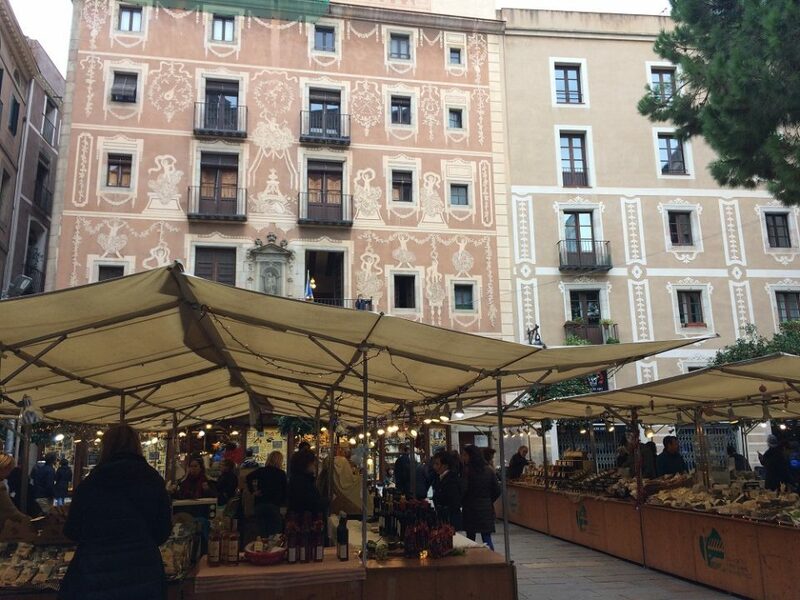 It is the old town and the historic part of Barcelona. 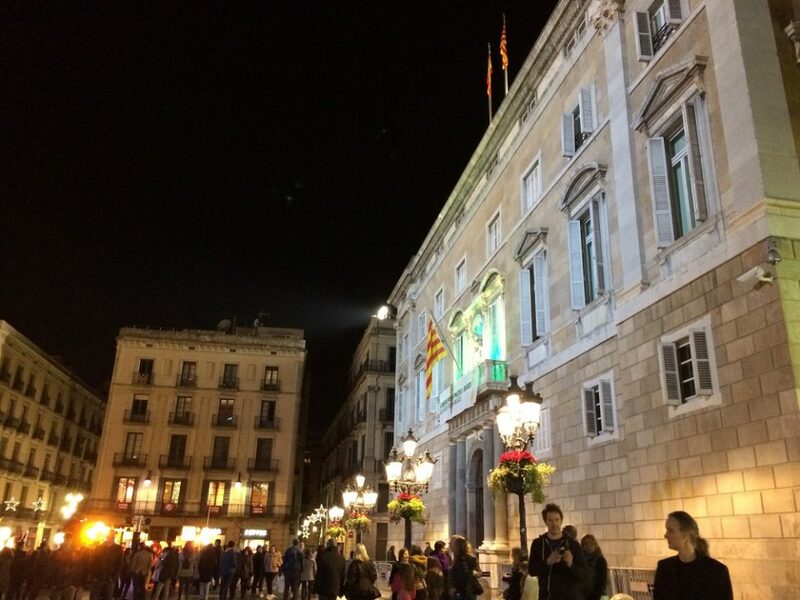 Placa Sant Jaume, for example, is very impressive. 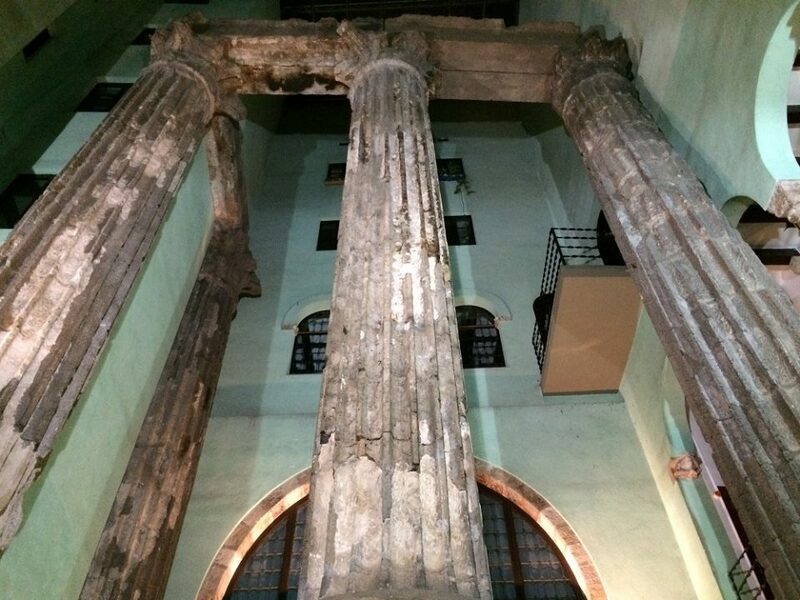 Just tuck away from Placa Sant Jaume, there are Roman ruins of the Temple of Augustus. 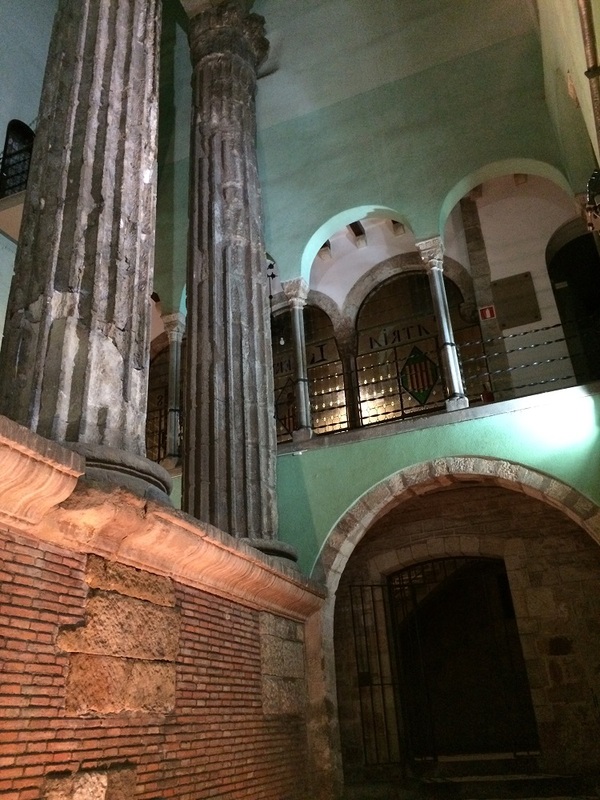 It is quite amazing to see the Roman remains in Barcelona. The temples are amazing too! 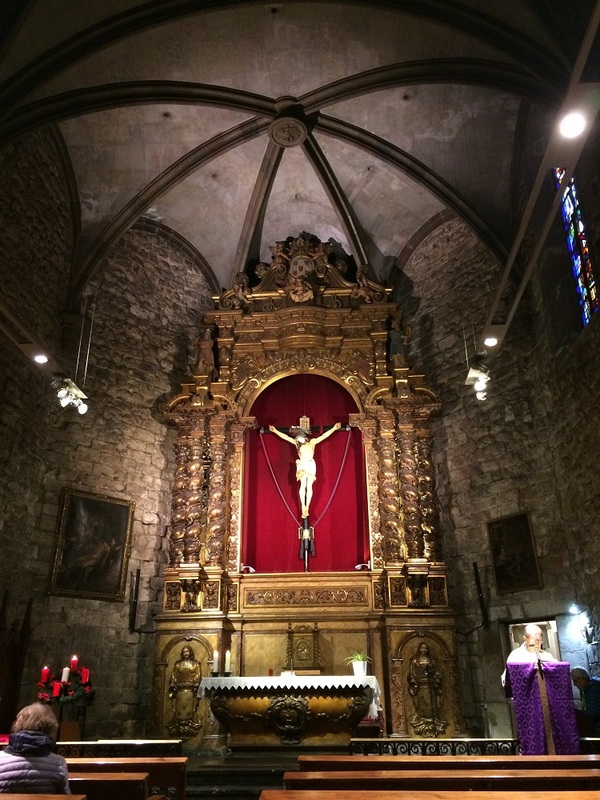 We also visited the Chapel of Santa Maria del Pi. And attended the mass there. The Chapel is very old and it is quite mesmerising to be inside. 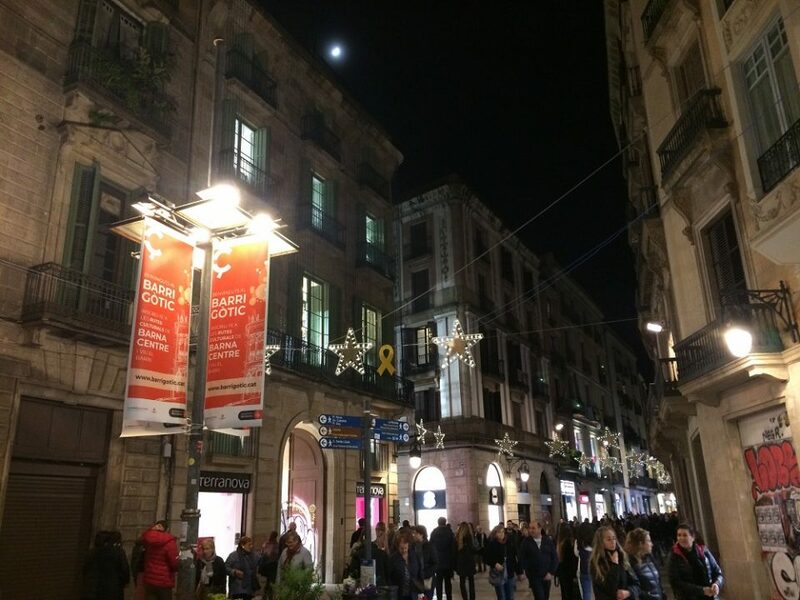 The Gothic quarter is very special. It is typical old town Europe. With narrow streets and old buildings. 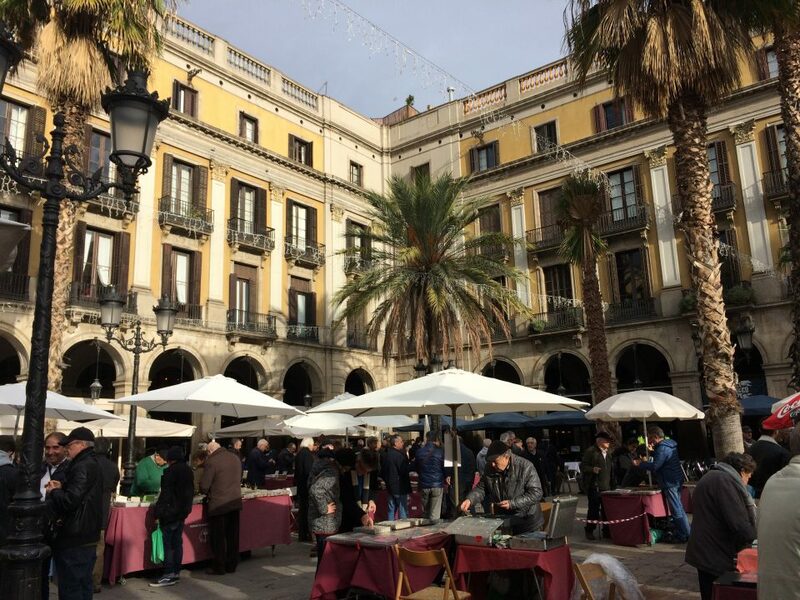 Please see here for more information about antiquing in Barcelona. 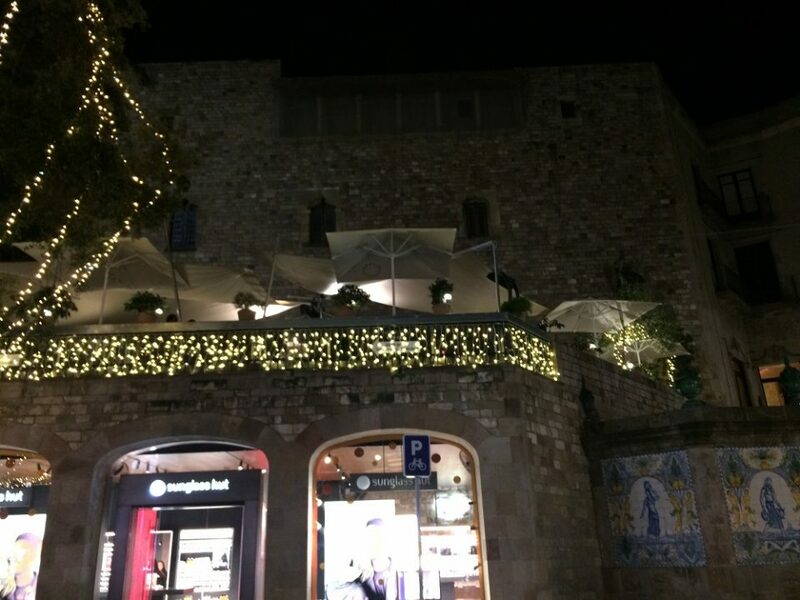 During the Festive season, also visit the Christmas market. Yes! 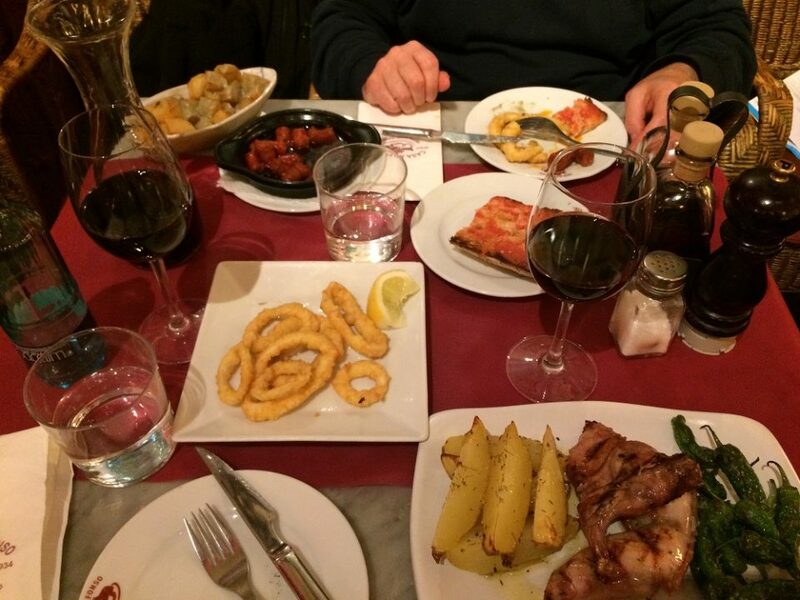 In Barcelona, you must try Tapas! 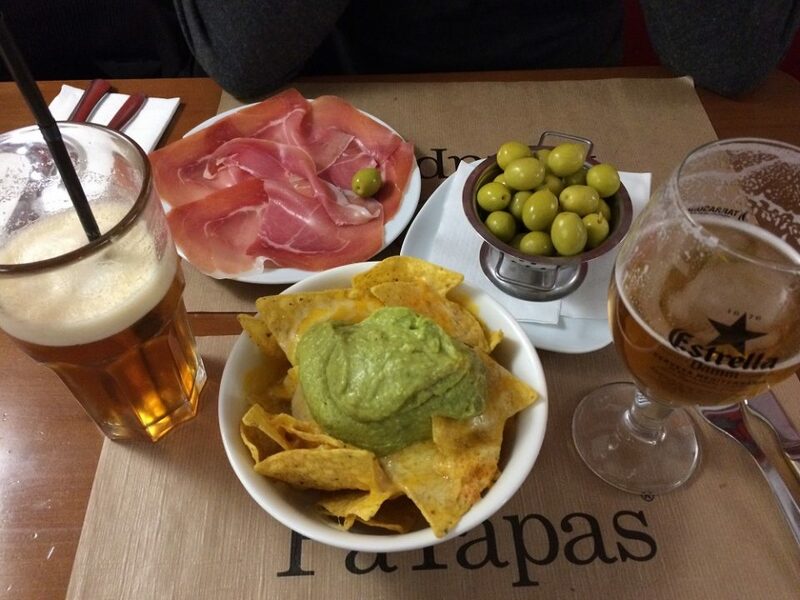 There are many cafes and restaurants serving tapas. 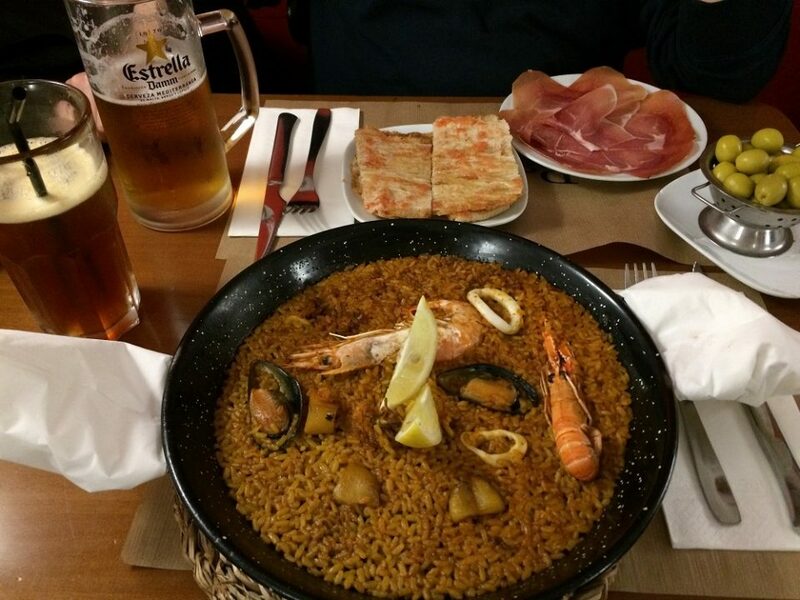 I also love Seafood Paella! 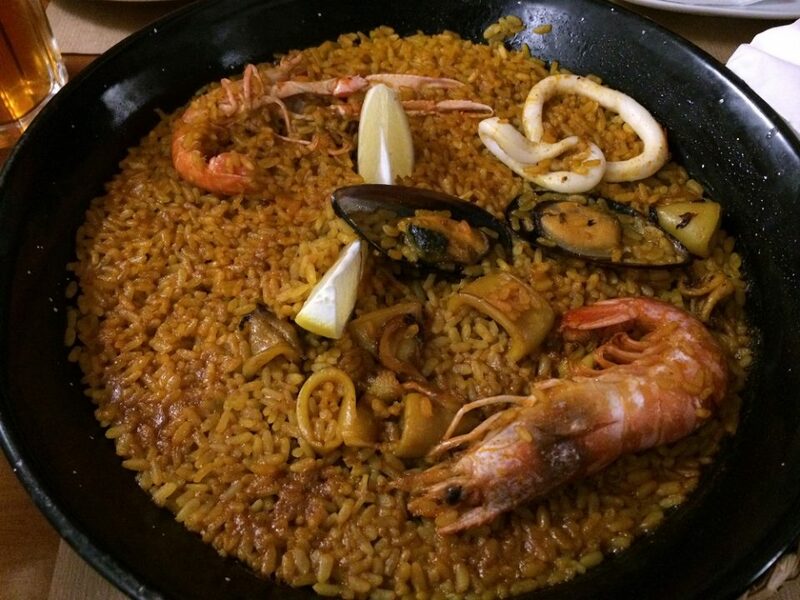 As a seafood lover, seafood paella is a must! 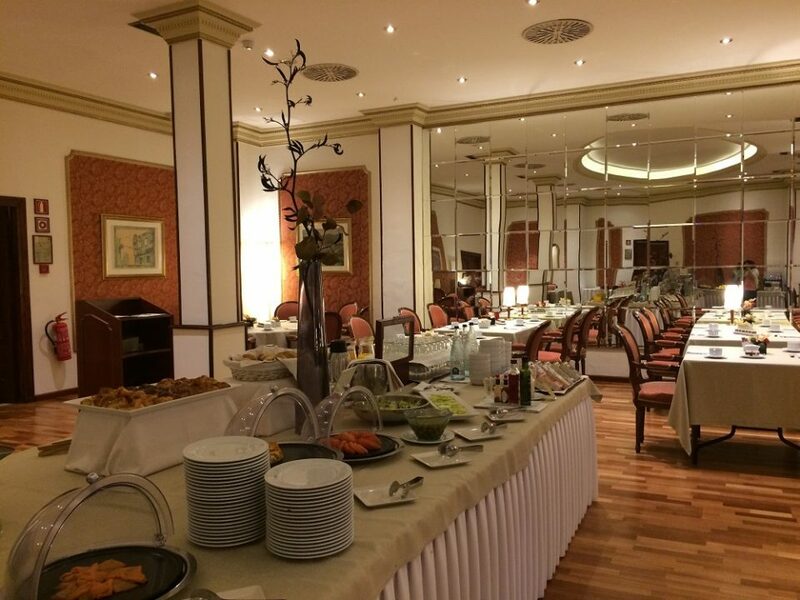 We also try a lovely Spanish dinner from an authentic Spanish restaurant called ‘Casa Alfonso’ at Carrer de Roger de Lluria. 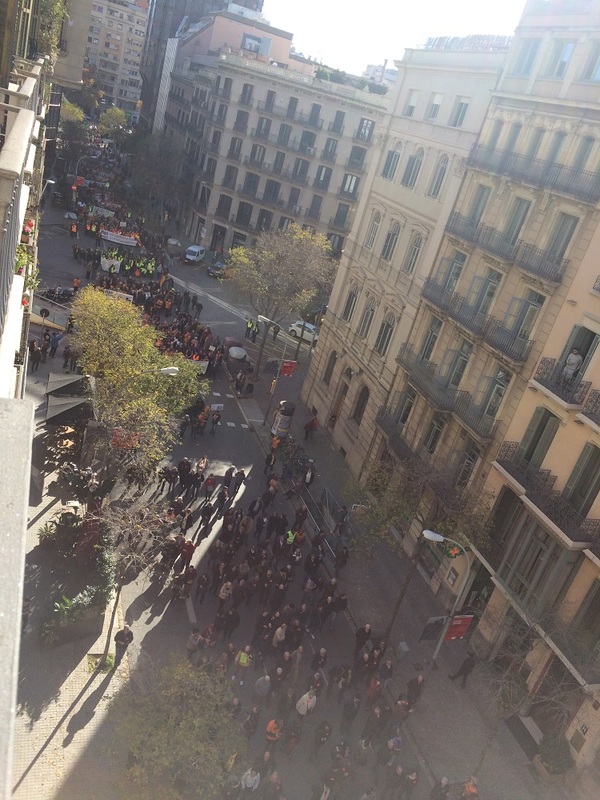 When we were there, we seen at least two demonstrations. One was in exactly in front of our hotel. 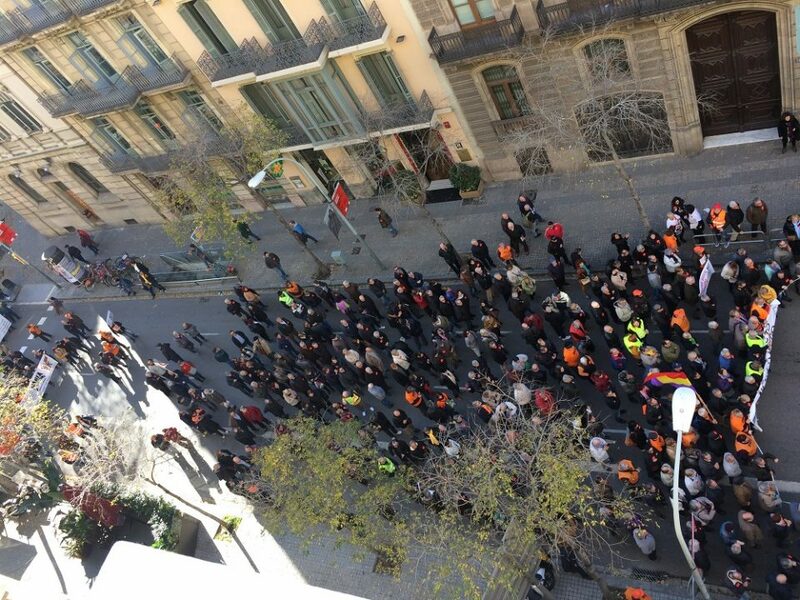 Although we do not understand what are the demands or what they are campaigning about, we appreciate the democratic feel in Barcelona, that people can and have appropriate medium (in this case through demonstration) to raise their concerns so that their voices can be heard. 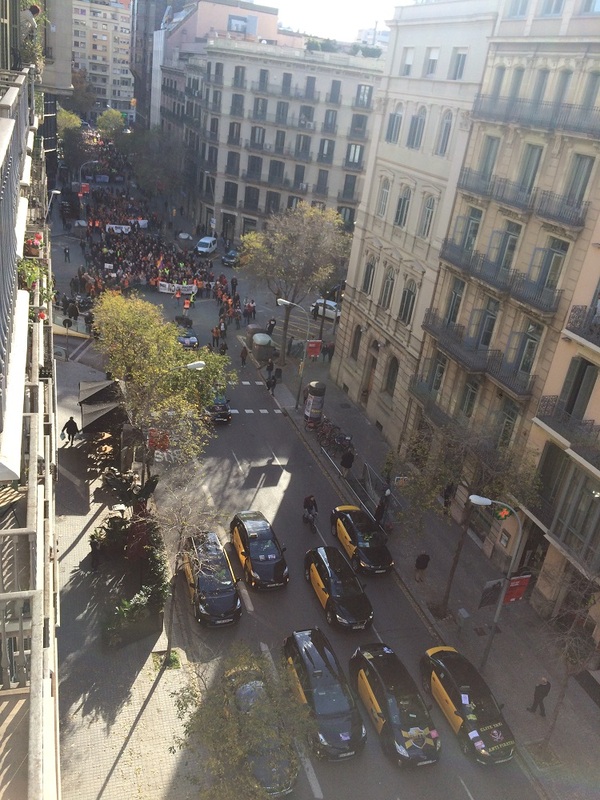 Demonstration Barcelona December 2018: this involved some cars..
Around Placa de Catalunya, it is always bustling busy. 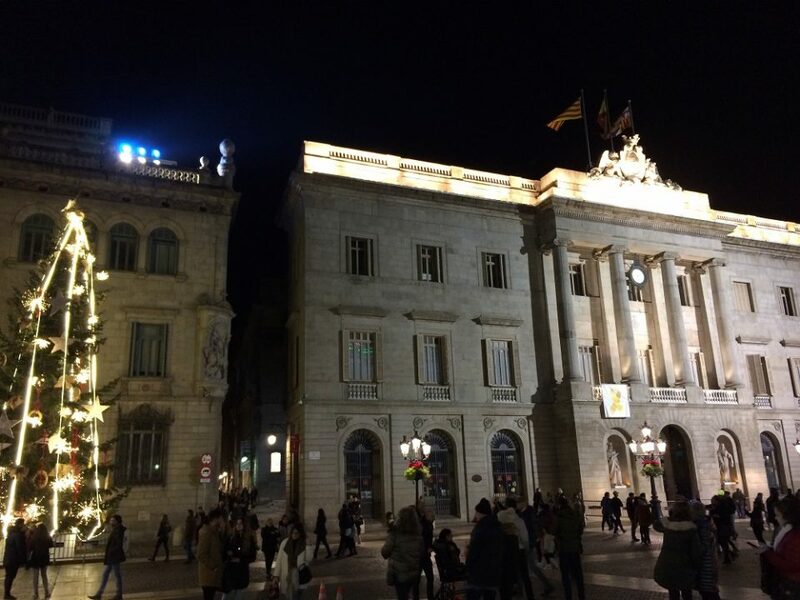 Lights in Barcelona: this is near Placa Catalunya too! 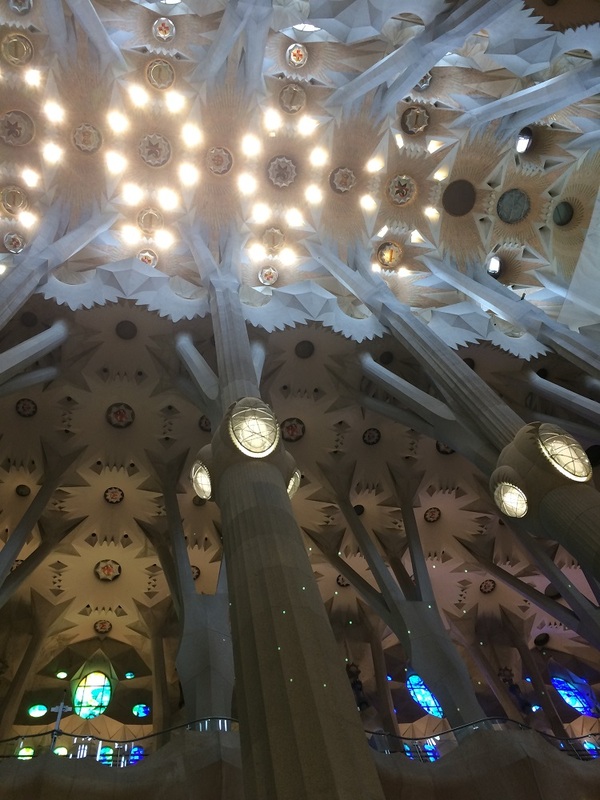 I hope you like my post about Barcelona. Visit my other travel pages too here.